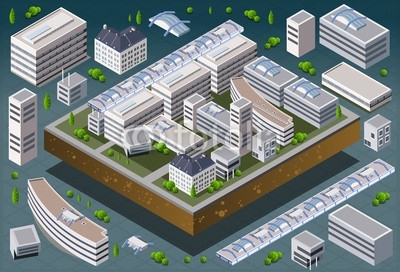 Collections of isometric city buildings and urban elements. 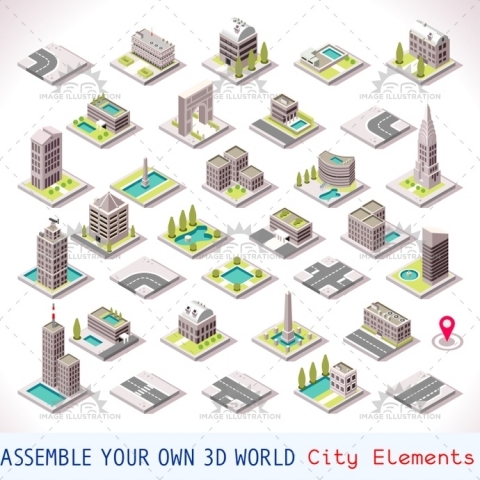 City icons are vector represented in isometric view. 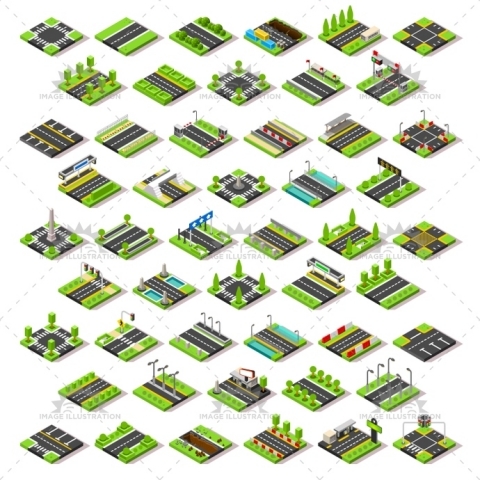 Quality vector design.